Pipe Supplies Supplied in excess of different size and quality coating steel pipes, locally and internationally. 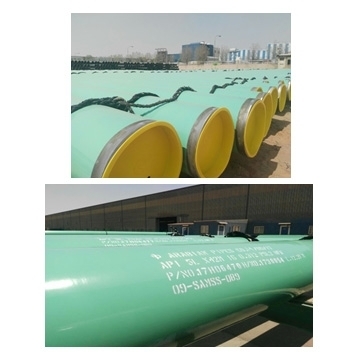 Process FBE, 3LPE and 3LPP coated pipes after Blasting in excellent quality under reliable inspections and testings of coating process complete up till desired coating standards. Application Coated pipes supplies for oil pipe lines, water supply lines, sewage water lines etc. Arabian Pipes Company, a welded pipe manufacturer, is a Saudi Joint Stock Company, which was founded in the year 1991 in Riyadh, Saudi Arabia.